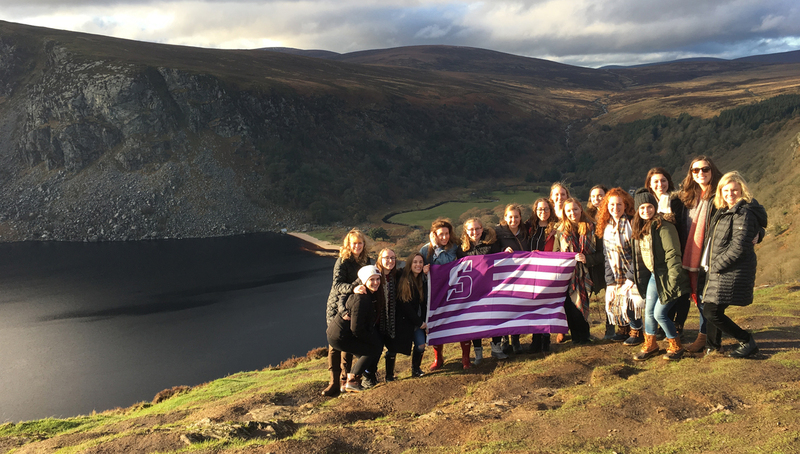 Junior and senior nursing students above the Guinness Lake in the Wicklow Mountains of Ireland. "The overall relationships I formed on this trip is something that changed my life for the better." 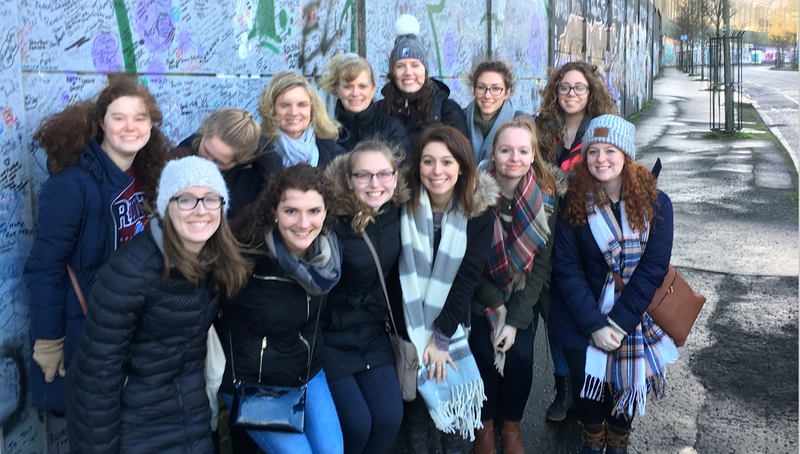 Jacklyn McGovern and several fellow junior and senior nursing majors took Healthcare Systems and Nursing Practice abroad over Scranton intersession at Trinity College Dublin. Here is McGovern's reflection. As a nursing major, it is difficult to study abroad for a full semester. 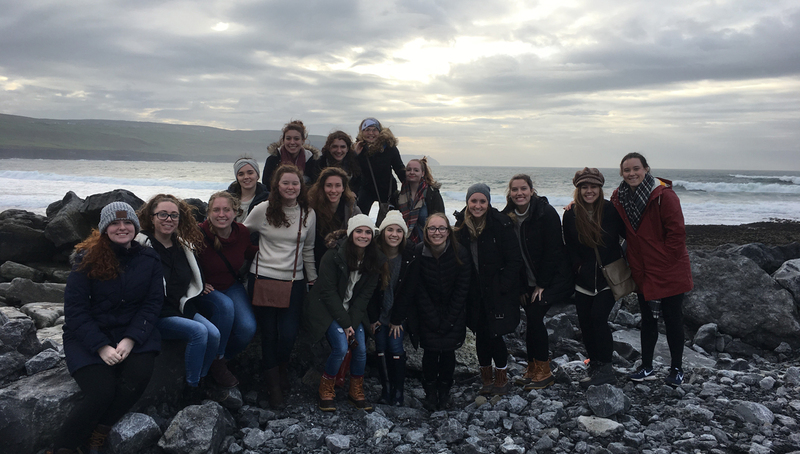 The opportunity to go abroad to Ireland for two weeks over this winter intersession gave me a chance to do so. Additionally, the School of Nursing and Midwifery at Trinity College is ranked 1st in Ireland and 25th in the world, the chance to visit this campus and study there was something I did not want to pass up. My favorite part of the trip is all the traveling we were able to do. From Galway to Dublin to the Blarney Castle near Cork and up to Belfast. We were able to go to the eastern, western, southern and northern ends of Ireland. All the scenery on the way to these sites, as well as the sites themselves, were amazing. Stopping on each bus ride to learn the history of so many sites was amazing. All the places we visited and the stops we made along the way were by far my favorite parts of the trip. I learned about multiple health care systems. I gained information on the United States’, Ireland’s, Hong Kong’s and Taiwan’s healthcare systems. I was exposed to the similarities and differences between these systems as well as the advantages and disadvantages our system has compared to others. Along with this, I learned how the nursing education and profession in the United States and Ireland differ from one another. I also learned about the overall culture of Ireland and how it differs from the west coast in Galway to the east coast in Dublin. This experience did change me. It gave me the opportunity to appreciate what we have here in the United States regarding health care and appreciate my nursing education. 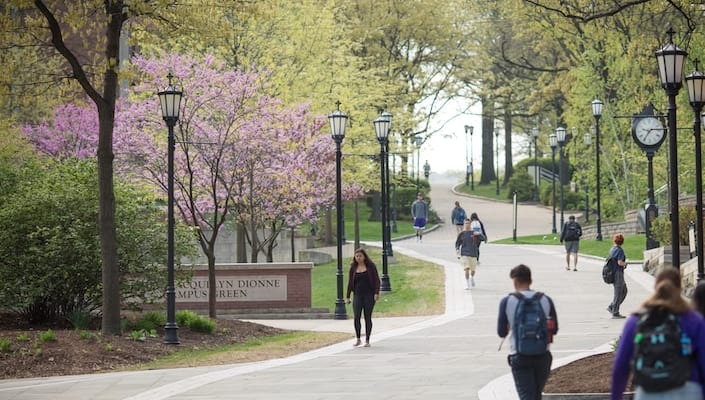 Meeting students not only from schools in Pennsylvania, but also students from Hong Kong, Taiwan and, of course, Ireland, provided me with connections and friendships I would not have formed otherwise. The overall relationships I formed on this trip is something that changed my life for the better. I would highly suggest studying abroad to someone who is considering it. Some advice is to plan ahead and research all the different types of programs in order to find the best fit. I also recommend educating yourself about the country so you can understand the community and the culture you will be living in. It is also helpful to chat with someone who has already been to the country to discuss questions and concerns you may have before you leave. It is important to have a global experience in college to see the world from a different lens. Studying abroad opens your mind to new ideas that may have gone undiscovered in your own home environment. A global experience in college allows you to explore a new culture and immerse yourself in the culture’s traditions and practices. 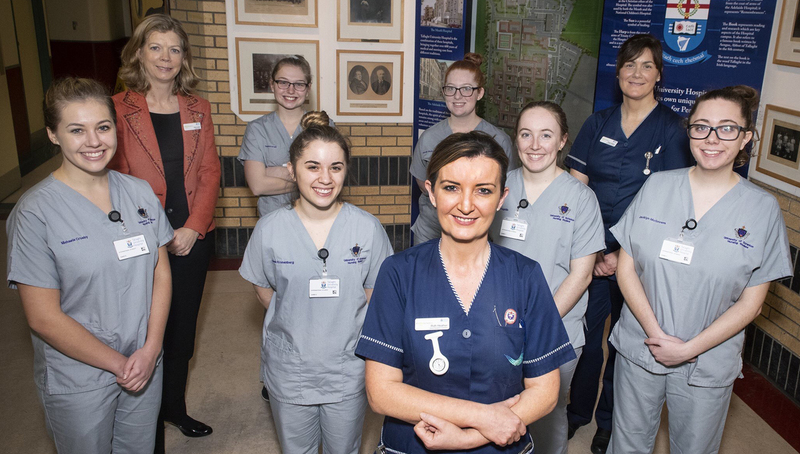 Jacklyn McGovern (far right) and five Scranton nursing students at Tallaght University Hospital with Aine Lynch (far left, back), the director of nursing at this hospital. 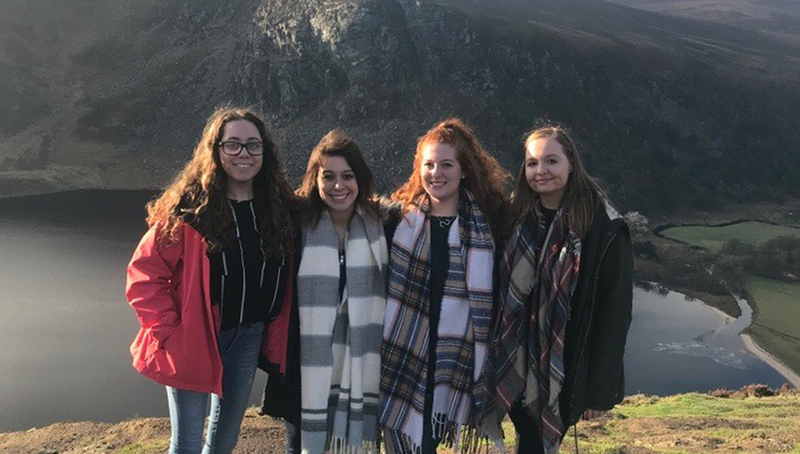 Senior nursing majors at Lough Tay, otherwise known as Guinness Lake, in the Wicklow Mountains. Left to right: Jacklyn McGovern, Brianna Shevlin, Sarah McKenna, and Shannon Treharne. Group at Belfast at the peace wall. Group along the drive to the Cliffs of Moher. McGovern is a senior nursing major.